As the momentum of 2019 rolls in, it is a great time to look ahead to what we can expect in the digital marketing industry in the year ahead. As we’ve done for the past 12-plus years at Anvil, we sat down as a team to discuss our 2019 digital marketing predictions, and we want to wish you the happiest of holidays with this special gift. Enjoy. Video trends will increase in marketing, messaging and media. Live video content, i.e. streaming, encourages high engagement and will be an even more valuable tool for brands in 2019. This type of video content will be more search friendly with more prevalent use of closed captioning and the power of artificial intelligence. AI can transcribe audio to make video more searchable. Video previews will auto-play on most platforms. With the ease of video production essentially being in everyone’s phone, video will also take on more of a 1-to-1 approach. Personalized video messages will start replacing chat, email and phone calls as ways brands communicate with customers. Videos will be created to thank a customer, deliver support or follow up on customer questions. Brands will make major strides with in-game and esport sponsorships and related advertising opportunities. While online gaming, especially multiplayer, has been around since Doom in the early 90s, recent explosive growth — thanks in part to games such as Fortnite — has changed the game for brands looking to target Generation Z in particular. Online gaming enthusiasts range in age from 10 to 65, yet a whopping 73% of 14- to 21-year-olds in the US identify as a competitive gamer (including 56% of females in that same age group), according to a WaPo study. Anvil believes game makers will not be able to resist lucrative partnerships, sponsorships and advertising opportunities. Recent examples include “Wreck-It Ralph Breaks the Internet” and Fortnite; the game had a brief cameo in the movie and an Easter Egg from the film was embedded in the popular game. Look for more crossover partnerships in the future. There is another large audience relating to gaming and that is spectators and fans. Esports are increasingly a spectator sport, drawing millions to global competitions, physically and virtually. While most gamers play for social reasons, 35% play to win prizes or acclaim. Look for brands to increase sponsorship budgets to get in front of gamers by associating brands with high-profile players. Generation Z will call for increased brand transparency and purpose. Brand transparency and purpose will go beyond affecting ad targeting and be a critical component to developing successful marketing strategies & campaigns. As Generation Z ages and their buying power grows, it will be important for brands to think about their story and how to connect with this new consumer group. To effectively connect with Gen Z, brands will not only have to authentically convey their values and purpose but actively live it and prove their commitment. With search growing more prevalent, Google will introduce campaigns specifically for voice-assisted devices. With voice search becoming more prevalent, we believe the trend will affect Google search with a new campaign type. This campaign type would specifically be for voice search and would allow targeting with bid adjustments by the type of voice search device including mobile phone voice search as well as the specific voice-assisted devices such as Amazon Echo and Google Home. AEO and REO will replace the outdated SEO model. Search Engine Optimization will fall by the wayside in favor of Answer Engine and Research Engine optimization. SEO is becoming a broad term that is beginning to encapsulate digital marketing as search engines are more and more able to anticipate user intent. At the same time, SEO is becoming more siloed as websites are beginning to focus more on their own specialty. As a website’s optimization aligns more and more with where users are in their specific journey, websites will have to think about how to optimize to answer questions, allow for research or convert from search engine results pages directly. Amazon will create its own SEO position zero. As Amazon gains a larger share of not only online shopping but consumer purchases in general, it will become more and more like its own search engine. We expect increased importance on SEO for product pages, and possibly even position zero and “featured snippets” in the form of a promoted product that matches one’s search query. Have a happy, wonderful 2019! Kent Lewis is the president and founder of Anvil Media. 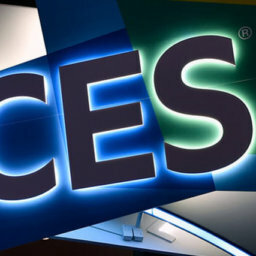 CES – A Show Every Marketer Must See!